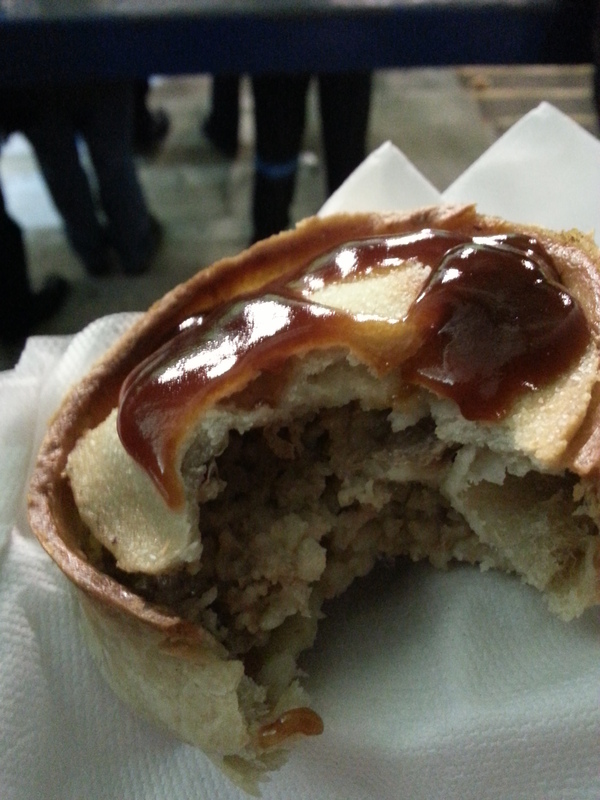 I know, I know the pie chat from Meat Filled Pastries has been a little sparse the last couple of weeks. Unfortunately somebody doesn’t pay me to talk pie and as such keeping the pennies in the pocket to fund this meaty addiction has had to take priority. 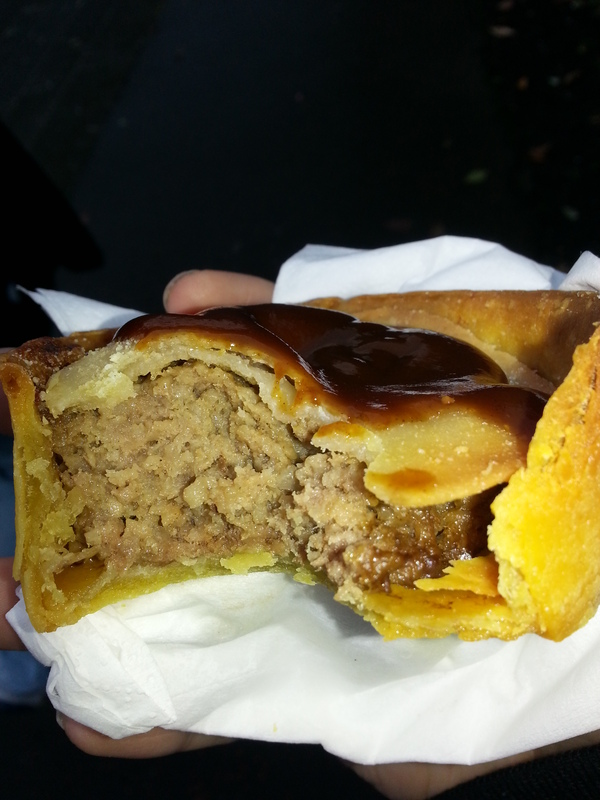 I promise you though my love for football and pie has not diminished and I hope your enjoyment of this tour of the best pastry snacks around is duly satisfied by this latest entry. I also had my last blog published on The Football Blogging Awards website and due to the nature of an exclusivity arrangement I couldn’t share the gravy with you until a certain time has elapsed. Anyway, the title of today’s pie, ‘A Pie via Polmadie’ is a tribute to the elder generation who managed to navigate a supporters bus through every single inch of the south side of Glasgow before safely depositing it onto the motorway that was a mere 3 minutes away from the original starting point 25 minutes later. I salute your many years of support and love your stories of a simpler footballing time but please, please, please the next time the driver asks for help with directions let the youngsters and their technology do the talking. 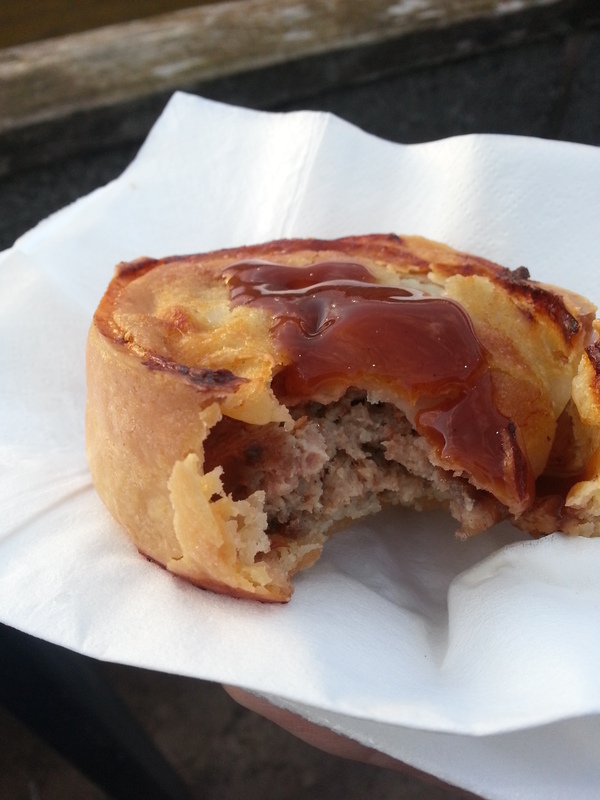 That said, we made it to Lochore and as such I’m here again, so let’s rate some pie! Presentation: A medium sized napkin of the white variety. Standard. Meatiness: This pie was very well filled although a little on the dry side. It had a gentlemen’s whack of pepper which as you will already know is right up my taste bud alley but the taste of the meat itself was struggling to get through. This I think can be attributed to the lack of moisture from the meat itself rendering it a little bland and therefore I was thankful for a generous squirt of that most trusted of tools in your pie first aid kit. Brown Sauce. Adding the moistness required for a truly satisfactory bite and heightening the meaty flavour inside. Pastry: Caramelised if you are a chef and well fired if you are a baker trying to punt you the roll’s that require a good scraping before you layer on the butter. 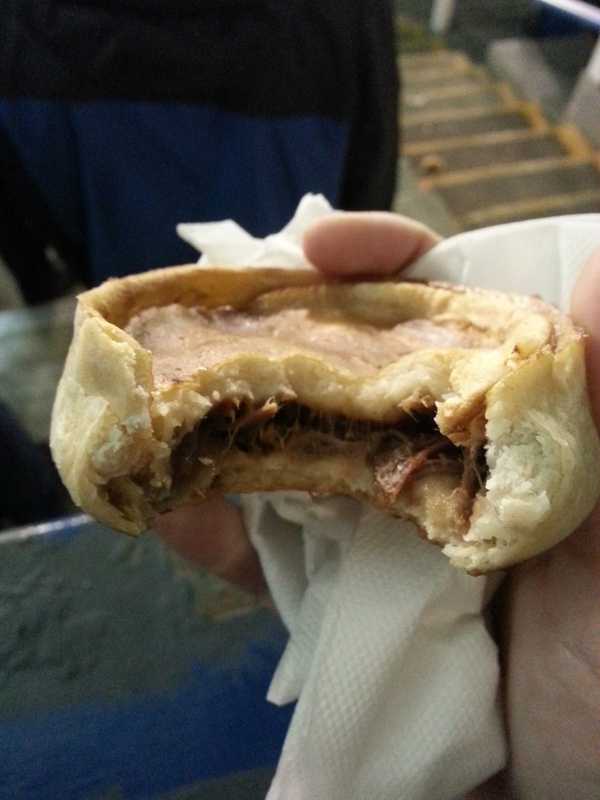 This my fellow pie fans was a burnt pie. Now previously I have said in some circumstances a burnt pie is perfectly acceptable if the pastry itself is only tarnished. However in this instance the black marks around it were a symptom of a pie that was in general over baked. The all important one bite expose in this instance was more like two as a quick breaking of the crust was required before attempting to bite down. 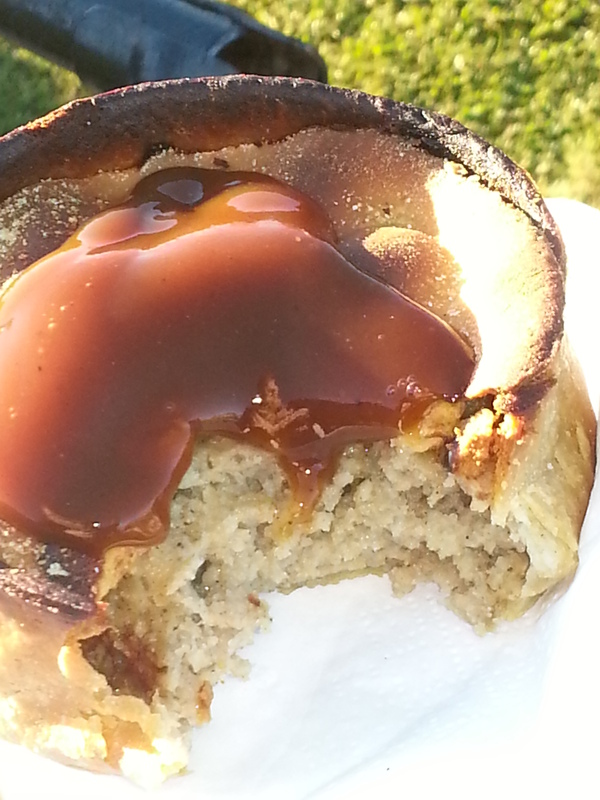 Although it should be said that burning aside the pastry was perfectly serviceable for holding the meat inside. Overall: A pie that would have benefitted from a couple of minutes less in the oven, something which some of my fellow supporters pie’s had graciously been given. It would have kept the moisture in and meant that pepper kick was spread more lovingly throughout. Gravy Factor: Blackened Gravy of the Bog Standard Bisto variety. A pie that I feel that will not live long in the memory for it’s taste but for being another stop in the never-ending pursuit of football pie perfection. 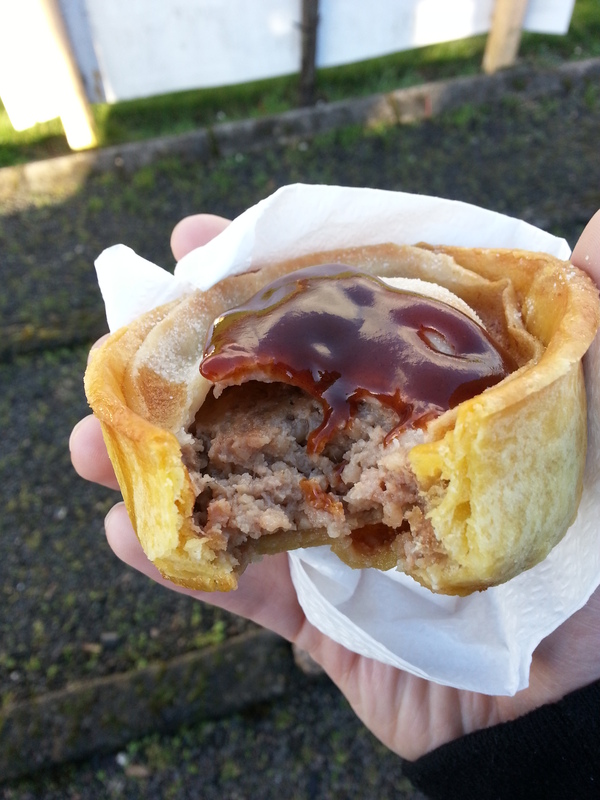 The next stop on our journey of pie will take us to Largs Thistle and another junior pie. But as always, until then, go forth and eat pie! 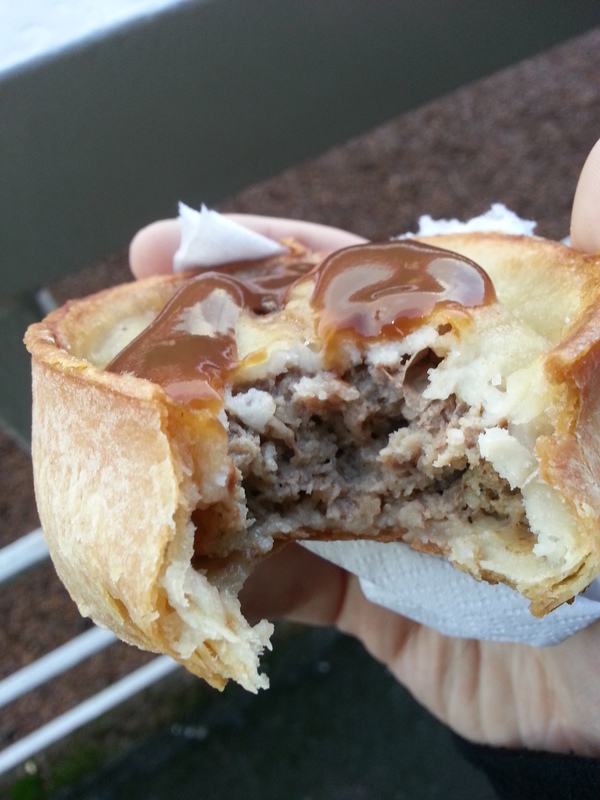 This entry was posted in Football Pies, Junior Pies, Sporting Pies, The Life of Pie and tagged brown sauce, burnt, Football, Gravy, junior football, lochore welfare, Meat, mince, pepper, Pie, pollok, scottish junior cup.